When Cassie agrees to go on a date with her gorgeous new neighbor, she doesn’t expect the night to end with a glimpse into eternity. Within twenty-four hours she discovers not only are young women being brutally murdered around her beloved town, but an ancient evil is using her new neighbor like a puppet to do the killing. Knowing the police won’t believe her without solid proof, she makes it her mission to find the evidence they need. Add to that how her cat has started talking to her, along with seeing ghosts around town, and it’s no surprise that she’s beginning to question her sanity. This is the first book in the New Sight Series - paranormal series about a young woman whose eyes are opened to the hidden world around her and her compulsion to help the dead seek answers and justice. Imaginatively entertaining with light humor and a quickening pace, C. L. Clark’s interesting new twist on paranormal fantasy is a book series that readers will not want to pass up. The Inspiration for Opening the Veil. 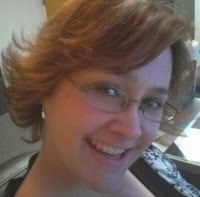 Thank you for allowing me to guest post on your blog today. I am often asked where inspiration for my stories and books come from. Actually, it usually comes out more along the lines of “Dang! What is going on in your head? Do you really think of that stuff all on your own?” Then come the sideways glances and questioning looks once I explain that not only do I come up with all of the things I write, but there are even stranger things floating around in my noggin that never make it to paper. To be fair, these concerned looks and comments usually come after people read my short stories that are more in the Twilight Zone vein. Most people who read my New Sight Series, especially if they are “cat people” like me, smile and start telling me about their own cat’s antics. I think I prefer that reaction, mainly because the conversations tend to last longer and those people don’t go out of their way to avoid standing near me. The inspiration for Opening the Veil, and all of the books that will follow, started with my own cat Ali”i. Ali’i means queen in Hawaiian and I admit that was probably not the best name choice for my cat because she lives up to that every single day – in spades. All of the vocalizations of Allie in the books are actual sounds that my beloved cat makes to me on a daily basis. Although she is very vocal, even to the point of chewing me out at times, she sadly does not talk to me in my head. Where the book idea originated was with her flipping out every time I took a shower for the first year or so of her life. I have no idea why she couldn’t handle me in the shower and my speculation turned into the premise of the relationship between Cassie and Allie in my book series. As for the ghost part, well, let’s just say I have had more than one occurrence with the unknown. There are certain aspects of Cassie’s new life that resonate with my own experiences and I thought others might be interested to read about them. Come on, who hasn’t enjoyed a good ghost story around a campfire or darkened room with friends? I have to say one of my personal favorite things since writing this book has been the fans that have emailed me, passing along their own cat stories or personal experiences with spirits and the unknown. It’s great being able to connect with other people whom I might never have had the opportunity had I not put my story out there. 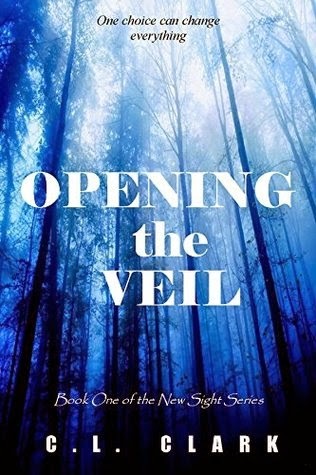 I hope that you check out my book Opening the Veil and pass along your thoughts or experiences, too. C. L. Clark has been a lifetime resident of the Twilight Zone – seeing every day occurrences and banal objects through slightly skewed, dark, and creepy glasses. The question usually on her mind is “What if?” followed by any number of strange ideas which quickly become stories that must be shared. When asked about where her story ideas come from, she usually smiles mischievously and remarks, “My fingers have a mind of their own.” Often found peeking under rocks, wandering through graveyards, and poking her nose into abandoned haunted houses, she has a particular love for black cats, breaking mirrors, and running with scissors. I love the cover. The author sounds like a fascinating person and so do her books !